Shashi Kapoor breathed his last at Kokilaben Hospital, Mumbai on Monday evening. Iconic Actor and film-maker Shashi Kapoor passed away in Mumbai on Monday evening at the age of 79. Kishori Amonkar: Hindustani Classical Music Legend Passes Away at 84! The news of Shashi Kapoor’s sad demise has shattered the entire nation. Not just Bollywood but entire nation is grieving for the loss of Bollywood’s iconic hero. In his era of acting, Shashi Kapoor was one of the most charming, talented and respected actor. Since past few weeks, Shashi Kapoor was not keeping well due to chest infection. He was admitted to hospital on Sunday night and was undergoing treatment. He was also suffering from kidney ailment for several years and had been on dialysis. Shashi Kapoor was the youngest son of Prithviraj Kapoor, a pioneer of Indian theatre and of the Hindi film industry. He was a follow family member of Bollywood Film dynasty. Shahshi Kapoor is survived by his two sons Kunal and Karan and, a daughter Sanjana Kapoor. 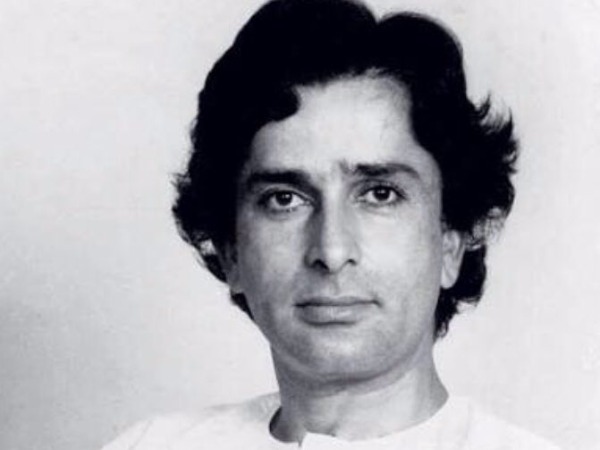 Shashi Kapoor acted in mor than 100 films, debuted with the 1961 film Dharmputra. Shashi Kapoor was also felicitated with Padma Bhushan award in 2011 followed by Dadasaheb Phalke Award in 2015. He became the third family member in Kapoor’s clan to be honored with Dadasaheb Phalke Award, after dad Prithviraj Kapoor and brother Raj Kapoor. Political leaders PM Narendra Modi, Mamata Banerjee, Smriti Irani and President Kovind mourned over the death of Shashi Kapoor. Veteran singer Lata Mangeshkar, Bollywood celebs Aamir Khan, Akshay Kumar, Raveena Tandon, Amitabh Bachchan, Ajay Devgn -Kajol, Karan Johar, Mahesh Bhatt, among others expressed their condolences. His contribution to this industry will be remembered. May his soul rest in peace. Shashi Kapoor ji you will be missed always. ?? #RIPShashiKapoor . The man who made nice look so so cool. U will always be remembered. Am deeply saddened by the passing away of my co-star #ShashiKapoor. The last of that generation of Kapoors gone. A gentleman and friend gone. An era gone.. All that remains are his films…and precious memories.. ? RIP Shashi-ji. Deeply saddened.Handsomest fine actor,brought style/class in the industry,dimpled smile shall always remain in our hearts.#RIPShashiKapoor ? An era of great cinema belongs to you and will always do so. RIP respected #ShashiKapoor Ji. Whole Bollywood fraternity and Indian Film industry is mourning over the death of Shashi Kapoor on Twitter. Brother Randhir Kapoor confirmed Shashi Kapoor’s funeral to be held on Tuesday morning.